I’m a Loughborough University graduate where I went as a modern pentathlete, although I played numerous sports while I was there such as hockey, swimming and triathlons. I played in the first-ever international women’s rugby match in this country in 1986, which was Great Britain vs France. The following year I played in the first-ever England vs Wales match and scored a hat-trick. After living in Australia for a while, I came back and got involved in coaching and playing at Clifton Rugby Club. We won the national sevens at Maidenhead in 1996. From there I got picked up by the England team, and coached and captained the first England sevens team in the inaugural Hong Kong women’s sevens. After that I went on the first overseas tour to New Zealand with the England XVs. I played in the 1998 World Cup and then decided to retire. I was very fortunate to be coached by the guru himself, Jim Greenwood, at Loughborough, Midlands, Great Britain and England. He was a massive influence on me as a player and an educator. 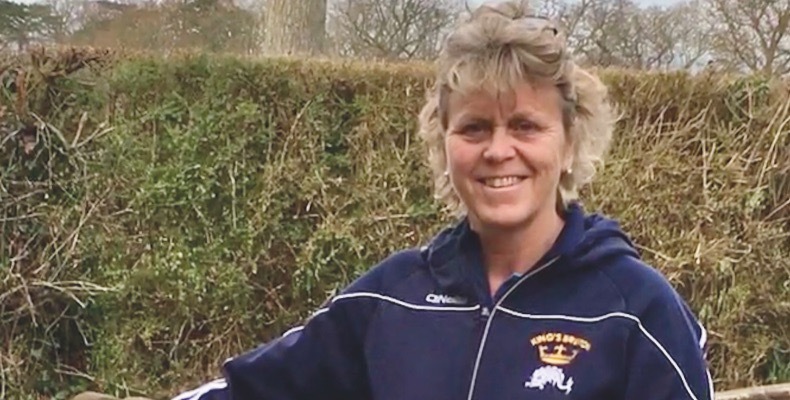 Now I’m mainly eventing or show jumping, with my two competition horses, and am the director of sport at King’s Bruton. Within one year of being here, King’s appointed a new headmaster, Ian Wilmshurst, and we decided that we would focus on investing in sport, more specifically, sport for both genders. Traditionally an all-boys school, it was only 15–20 years ago that the school went fully co-educational. So, we wanted to make a statement of investing in co-educational hockey. We firstly appointed Ben Dudley as director of hockey, who put the foundation stones down, followed by Henry Eriksson, who is a Swedish international both indoor and outdoor, played in the Euro Hockey League and Indoor Hockey World Cup. He has been inspirational to what we have now achieved with girls and boys hockey. Q. What does King’s Bruton’s 500th anniversary mean to you, and how is the school celebrating? It’s a huge privilege and honour to be working in a school that has so much history. Some of the children are third, if not fourth, generation. We have stunning, old buildings and there’s this aura around you that you really are working in a lovely community. Plus, the development of sport over the last 15 years has been huge. A little school in the middle of Somerset seems to be a stepping stone for a lot of people’s careers. A choral anthem has been commissioned especially for King’s Bruton which was sung at St Paul’s Cathedral. On 28 March there’s the official opening of the new music school by a VIP, who I cannot name just yet. Then on 15 June we have all the old boys coming back to play cricket, tennis and hockey, and a 500th ball, with 500 guests, in the evening. A former housemaster has also written a book called The Treasures of Bruton, looking at things like what our crest symbolises. Q. What are some of the pupils’ best sporting achievements? It’s incredible what they’ve achieved. Since 2013 we’ve had 12 internationals. In 2017, the U16 girls were national indoor hockey champions. Lloyd Wallace has gone on to become a Great Britain aerial skier and represented us at the Pyeongchang Olympics last year. His sister Elodie also represented Great Britain at aerial skiing. Elliot Rutter won the English Schools 400m title in 2013 and went on to represent Great Britain U20 in the World and European Junior Championships. Ellen Barber won her first GB senior shirt recently. She is a heptathlete, but she started here as a high jumper before moving into combined events. 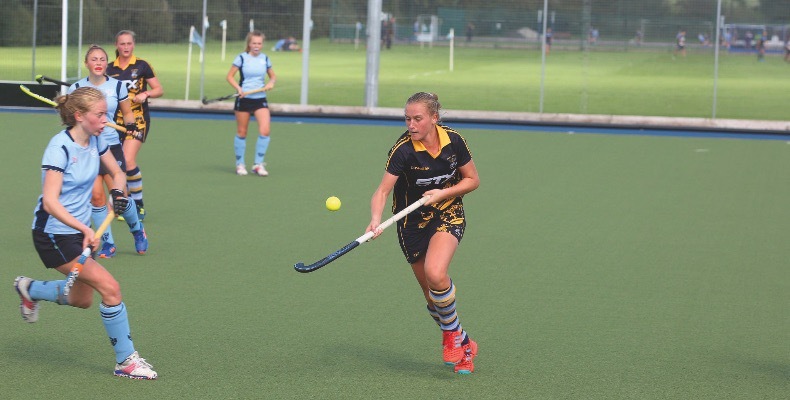 Sophie Hamilton plays U18 and U21 England hockey and has got a hockey scholarship at an American university. Olivia, her twin, is in the England U18 hockey and in the Somerset senior women’s cricket. They’re so talented. It was funny, in November I was watching the repechage match in Marseille for the last place at the Rugby World Cup and the final match was Hong Kong vs Canada. Playing 11 for Hong Kong was Conor Hartley and 14 for Canada was Taylor Paris. Both of those boys played in King’s Bruton 1st XV in the 2010 season. It was amazing to watch. Q. Why is sport so popular at King’s Bruton? As a small school there’s a real sense of community and family ethos. We try and encourage all the pupils to get involved with the focus being on enjoyment, as well as individual developments. Results aren’t the be-all and end-all for us; the most important thing is player development. We’ve got wonderful staff who enjoy what they do, which comes across to pupils and makes them actually want to be involved. On Saturday we’ve got 10 netball teams going out and eight boys hockey teams. One hundred per cent of my Year 9 and Year 10 girls will be out for this. They all play for a team. We’ve got a really good physical education programme in the curriculum and we’re very fortunate that senior management values PE. We also have amazing facilities for a small school, with two astroturf pitches and Matrix fitness equipment. Q. What makes King’s Bruton special? We are so tiny compared to a lot of schools but the 340 pupils that we have here are great. We punch well above our weight in all our sports. We all care for the pupils and it’s a nurturing environment; everybody knows everybody. Our headmaster is supportive and interested. Also, we are in a stunning setting in Somerset surrounded by beautiful countryside. What stands out to me though, is the pupils’ perseverance, especially when we’re playing against these big schools. I get a huge sense of pride and think ‘these are amazing children to work with’.